Alive After 5 is amongst us once again. It is a monthly street party that takes place in Sanford. Thousands show up every month. It starts at 5pm until 8pm. 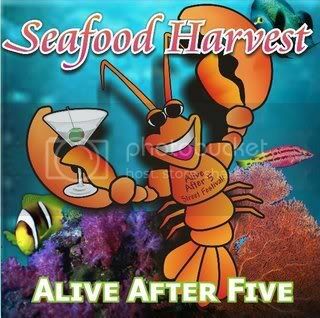 Make every second Thursday of the month so you can join us at Alive After 5. For samples of food and beverages, it cost $7.00 for an admission charge. They also have door prizes. This month's theme is Seafood Harvest. Check out our photo album from last month on Facebook. Our booth will have replacement windows, freshly popped popcorn and your chance to enter-to-win our prize. Drop by the booth and find out. Let's all have a blast!